Shanti Mohan, co-founder and chief executive of LetsVenture. Established in 2013, LetsVenture is an online platform that connects Indian startups with angel investors. The platform, which counts Testbook, DailyNinja, Wishberry, MyUpchar, and Ketto as part of its portfolio, has 3,700 members. They have enabled 170 funding rounds, raising about $70 million so far. The Bengaluru-based platform, owned and operated by LetsVenture Technologies Pvt. Ltd, recently announced its maiden angel fund, LV Angel Fund, which is registered with the Securities and Exchange Board of India (SEBI) as a Category-I alternative investment fund (AIF). The company also recently introduced LetsGrow, its arm for growth-stage investments. 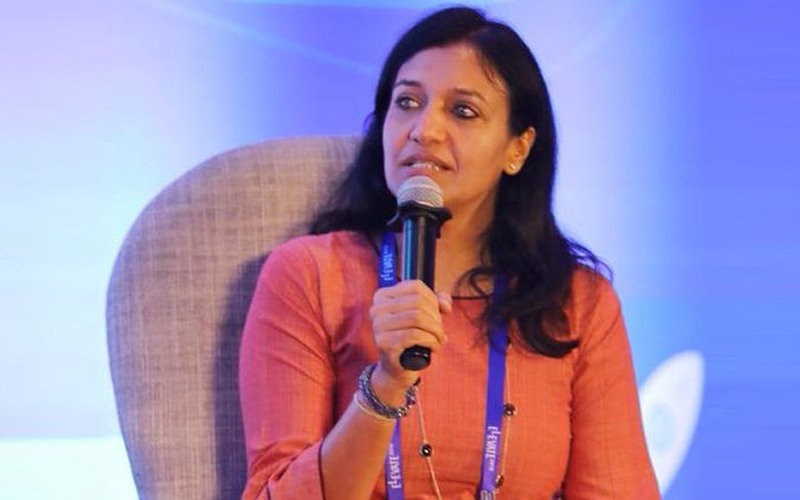 In an interaction with TechCircle, Shanti Mohan, co-founder and chief executive of LetsVenture, discusses the evolving nature of investments on the platform as the firm charts its next phase of growth. What has propelled LetsVenture to its current growth phase? Our growth over the last five years has been purely organic. As a result, we have created a very high level of trust in the ecosystem. Most of our startup deal flow is either inbound or by referrals. About 60% of our inbound traffic comes through social media. We have done about 170 deals—33 follow-on rounds—and have had four acquisitions in five years. The shutdown rate is less than 7%. We still do not have a sales and marketing function in the company. The membership has grown organically, through word of mouth, over the years. The investor community, which currently comprises 3,700 members, is carefully curated. We onboard about 120-150 investors in a month after rejecting about 50-60% of requests because many them don’t understand angel investment. We talk to people and pick investors who understand this asset class. We have members from 23 countries, but we do not have a single office outside India. What’s the process of onboarding startups to the LetsVenture platform? We use a marketplace intelligence tool to curate startups. Startups register and create profiles on the platform for free, and the algorithm ranks them on a scale of 1-5 based on 25 parameters such as founder-market fit, competition, growth, team, financial summary, customer base and more. We get about 400-600 startup applications every month. We connect to the startups that scored more than 3. We then screen these startups to understand who is funding ready and who’s not. Based on the readiness of the startup for fundraising, we accept about 50-60 and place them in a programme called ‘investor connect’ on the LetsVenture platform. Based on their engagements with investors, their ranking changes. The platform determines the funding potential of a startup by giving us a metric with almost 95% accuracy. Based on their profile and investor interactions on the platform, startups find a lead investor. From the 50-60 selected startups, about 4-6 then move into the feature syndicate phase. Featured startups get better attention as they have a lead investor and under whose guidance they can find other investors to hit the target. Do you accept only early-stage startups in your portfolio? LetsVenture is typically the first institutional cheque, not the seed investor. Institution could also be a group of angel investors who don’t really know the startup but come together to invest in a company. It’s an external validation for the founder. Our cheque size ranges from Rs 1-5 crore in the early stage. However, we usually present the very early-stage startups to our marquee investors and if they feel positive about it, we work with them. We don’t do seed rounds and we are not the first cheque that goes into a startup. What’s the financial commitment you demand from your investors? Until two months back, we did not demand a financial commitment from the members. As an angel investor, we cannot force anyone to write a cheque. The total corpus on the platform is about $350 million considering the financial strength of our members. Now that we have launched a SEBI-registered angel fund, investors need to commit Rs 25 lakh over five years (Rs 5 lakh a year). We have just launched the fund now and members are being onboarded. Our aim is to get about Rs 1,000 crore commitment in about a year. How does your new angel fund benefit founders and investors? With the angel fund, SEBI has given a special purpose vehicle for founders, which is beneficial to them as it brings everyone on a single cap table. For angel investors, it offers them angel tax benefits and serves as a gateway into venture capital investment. The fund gives angels the power to invest as little as Rs 1 lakh into a startup from the Rs 5 lakh commitment a year because they are going through a vehicle. However, we discourage members from investing smaller amounts as managing it becomes a nightmare. Previously, the minimum ticket size per investor per deal was Rs 5 lakh at LetsVenture because according to the definition of SEBI, anything below Rs 5 lakh was considered a retail investment. We do not deal with retail investors. The fund makes it convenient for us to operate the whole process and makes us SEBI-recognised as well. It gives us a distinct identity as people were confused about whether we are a crowdfunding platform or a marketplace. How do you set the exit expectations for your network members? We do not set any exit expectations for our members. I can only enable a startup to find an exit but cannot orchestrate it. That’s why we carefully curate our investor network. We tell them clearly that it’s a long-term game. We are not the right people if you are looking for immediate returns. The exit strategy helps startups raise their next round of funding. LetsGrow plays into that exit strategy in a way. Going forward, we expect to do a lot more with LetsGrow. Tell us about the strategy behind LetsGrow. We have 170 portfolio companies as part of LetsGrow who want to raise their next funding round. It’s a natural transition of our early-stage platform LetsVenture where we invest between $200,000 and $1 million. With LetsGrow, the deal size will be between $1 million and $5 million. Though we give first preference to our portfolio companies, we do consider deals outside our platform via LetsGrow. This is because many of our angel investors bring follow-on deals of their portfolio companies to the platform which we consider. We want to do about 10-15 deals next year through LetsGrow with an average ticket size of $2-3 million. We work with many funds and VCs on the early-stage side. We also know the metrics they look for when they fund Series A companies. We are trying to aggregate those metrics for our founders to help them be ready for Series A.
I feel most founders do not know if they are ready for Series A. They should only raise Series A when they are ready and confident, not when they run out of money. Being sector agnostic, what are some of the emerging trends that you see on the platform? Retail, artificial intelligence, consumer goods, enterprise software and information/tech are the broader categories that continue to attract investments. Besides, many marketplaces in different deep sectors are emerging. Consumer brands in food and fashion are going really strong. Affordable healthcare and education are making a comeback. In fintech, wealth management solutions are becoming large opportunities. Impact businesses are coming into the mainstream. More people are venturing into for-profit businesses that create real impact. LetsVenture LetsGrow Shanti Mohan LV Angel Fund IndiePitch Solutions Pvt. Ltd.